Creatine Side Effects - Should You Worry About the Effects of Creatine? There are very few adverse creatine side effects. 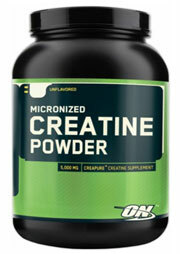 Speaking from personal experience, I've never experienced any negative or unwanted side effects of creatine. Extensive experiments have been done to test for side effects on humans, and Dr. Paul Balsom - the world leading expert on creatine - stated "to the best of our knowledge, the only documented adverse effect of creatine supplementation is an increase in body mass." Well, I'd say that's something we can all live with. However, be cautioned that there are no long term studies on high dosage effects on creatine use. So its recommended that you follow the instructions on the label and don't over do it. Long term use of creatine has not shown any adverse side effect on humans. 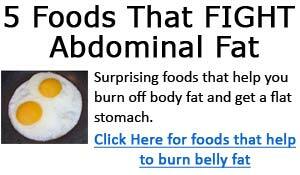 I have used it on and off for many years, and have never encountered any negative effects. As well, no studies have shown creatine to have any adverse side effects on humans. You'll feel stronger, and will have much more energy and endurance during workouts. You'll start to notice that your body (muscles) is fuller and bigger - partly due to some water retention (a createin side effect), and mostly gains in muscle mass. You'll have noticeably more energy and 'bursting' power during workouts - you'll be able to lift slightly heavier weights and feel less fatigue. Now, keep in mind that creatine side effects will vary from person to person - everyone is different. Previous studies conducting personal interviews with male/female athletes who have used creatine for longer than 1 year did not reveal any long-term side effects of creatine. However, one short term side effect of creatine noted is that athletes who took more than the recommended amount of creatine experienced diarrhea, however this went away after reducing the dosage.